A progressive jackpot game is a game that has one central collective pot where cash accumulates until someone wins it. Each wager made on this machine sets aside a small amount for a specially designated spot. As the bets continue and cash trickles, this jackpot continues to grow – hence the terms progressive. Progressive jackpots are known for carrying the highest jackpot rewards in any casino – be it land-based or online. Due to the fact that a lot of cash is at stake, the betting limits on these games tends to be higher and the jackpot can often prove elusive. One thing is true though, these giants do pay and when that jackpot falls, whoever is on the receiving end’s life is forever changed. Some of the biggest progressive payments have occurred online and in all frankness, this is no surprise! The internet by its very definition is almost endless in size while in a land-based casino you can only have so many machines feeding into one pot. In the case of online and mobile casinos, its software specific, meaning that the more casinos there are that stock a certain make of games, the more people there are playing that game and the bigger that jackpot is. This why games like Microgaming’s Mega Moolah has been known to pay out 5 million euros and up. Progressive games are mainly slots, although they have been expanded into other games too. The amount of mobile casino and Android casino software companies has increased over the last few years and this means that technically there are more progressive jackpots to play online. If we were to choose three key ones for casino players to be aware of though, it would have to be Microgaming, NetEnt and Playtech. These three are key software companies that all have three vital attributes – age and experience. The age factor is quite vital as it means that some of the very first progressive games for the internet market came from these three. So in essence, they will most likely have the largest jackpots to be won. Microgaming according to many sources has the largest progressive network online although we’re prepared to say that all three of these software giants are on par. Each company offers something a little different in terms of the amount to be won and the route to getting there. For instance, some of the games are purely random, in other words the jackpot can literally strike at any time. While in other cases you need to bet max all the time and get a certain combination. Playtech’s Marvel Network is an impressive one. A bunch of years back this company brokered a massive deal with Marvel and has since been producing games based on all kinds of Marvel characters and intellectual properties. In fact, so much so that it’s been able to create the Marvel network, which relies on Android casino games like The Incredible Hulk, Iron Man 2, Blade, X-Men, Ghost Rider, The Avengers, Daredevil, Elektra and the Fantastic Four to fan the flames of its now famous Marvel Network. These games have got international appeal with players all around giving them a go, so that should give you an idea of what you’re likely to be playing for! This one really needs no introduction, it’s been going for over two decades now and if there is one network that’s often made the casino news online, it’s this one. In fact, just recent, a Microgaming casino using the game Mega Moolah paid out over 11 million dollars to one lucky player. The Microgaming Network is known to rely on games like Mega Moolah, King Cashalot, Treasure Nile, Cash Splash, Fruit Fiesta, Wow Pot and a whole bunch of others to provide wins that often exceed the one million mark. NetEnt does not have the biggest line-up of progressive casino games, but their edge lies in the fact that players has a true affinity for their games. The network works on a local scale and an international one which means that some of the progressive jackpots are casino specific while others are from multiple casinos – and for this reason the variations on jackpot sizes can vary quite a bit. The NetEnt progressive network consists of the following games: Mega Fortune, Mega Fortune Dreams, Arabian Nights, Hall of Gods, Cosmic Fortune, Super Lucky Frog, Tiki Wonders, Geisha Wonders, Mega Joker and more. 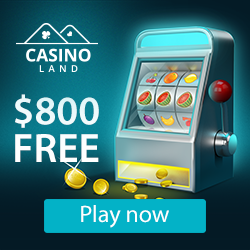 Each game also lets you know how many casino are offering, so based on that you can make a call on which machine will be harbouring the biggest rewards. At the time of going to publication Mega Fortune was carrying the biggest jackpot which was sitting at more than 4 million euros.